Refusing to sign 'bad' peace agreement, S Sudan president tells his people to persevere in face of hardships ahead. 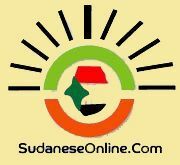 Juba, South Sudan - South Sudan's President Salva Kiir spoke on Wednesday at a public rally for the first time since peace talks with his rival Riek Machar failed just over two weeks ago. Addressing thousands gathered in the capital city Juba, Kiir emphasised that he will not be forced into a premature peace deal and rejected the UN threat of sanctions against his country, which he said would further hammer the crumbling economy. "When I left [for the peace talks] some people thought that I would be forced to sign a bad agreement," he said. "But that signing was to be done by someone who wants things done quickly … in that way, I came to you without peace." The president declared that even if he were to sign a deal with his rival and former Vice President Riek Machar, it would do little to improve the economic situation in the country in the short term given that oil revenue in South Sudan - it's primary resource - is now almost non-existent. Therefore, he said: "We need to look at what we can do for ourselves - our land, this very fertile land. As long as there is rain in South Sudan we can make use of that land and forgetting about anything being brought in from [the] outside." "I am disappointed in the mobilisation to impose sanctions rather than encourage peace. Sanctions at this time will not only devastate the economy but increase pressures on the people of South Sudan who are already desperate," declared Kiir. For his part, the UN humanitarian coordinator in South Sudan, Toby Lanzer, on Tuesday expressed disappointment that peace talks between Kiir and Machar had once again collapsed. Lanzer highlighted that 2.5 million people in South Sudan are severely food insecure while 400,000 children have not attended school since the civil war broke out in December 2013. "The situation is very grave and in the absence of peace, there is every possibility of it becoming more serious," he said. "We need real signals from the political leadership that it is going to get better."